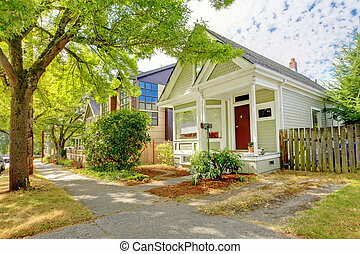 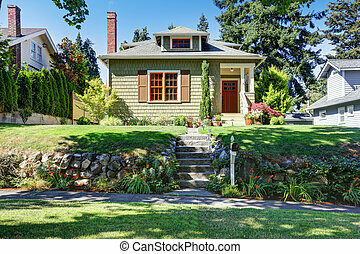 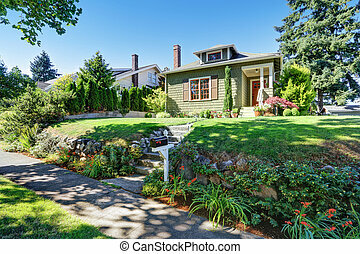 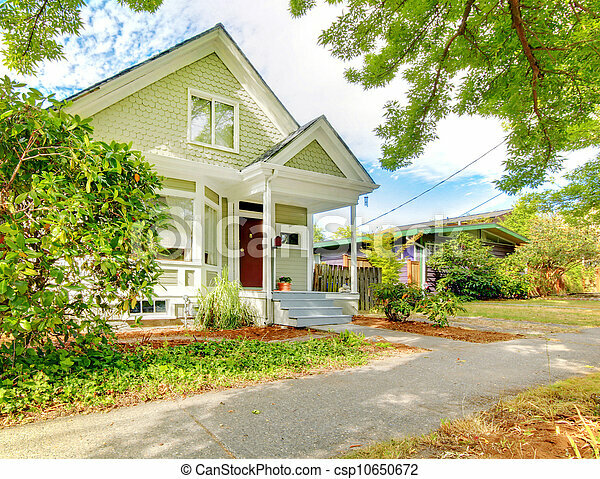 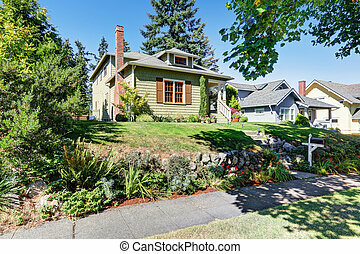 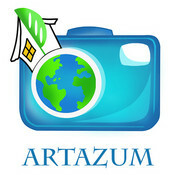 Small cute craftsman american house wth green and white. 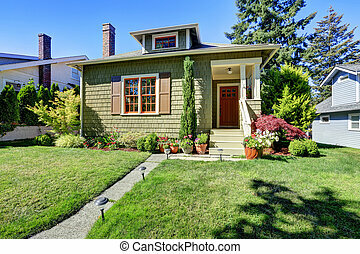 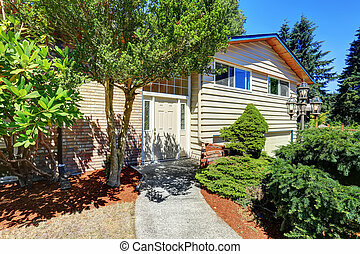 Small cute craftsman american house wth green and white and red door. 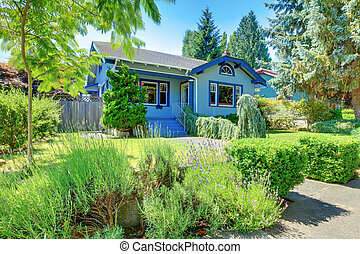 Small Cute Craftsman American House Wth Green And White. 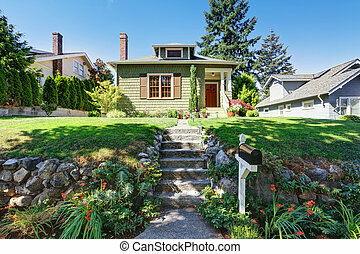 Small cute craftsman American house wth green and white and red door. 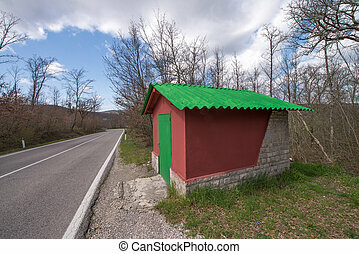 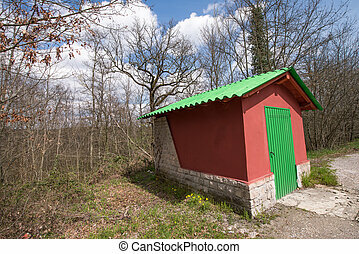 Wonderful Red and Green small house at the side of a Campaign Road. 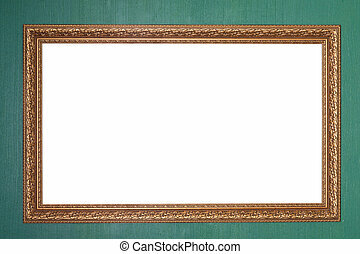 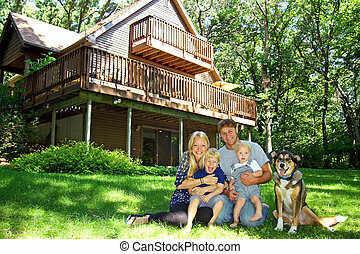 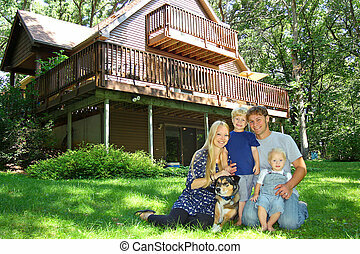 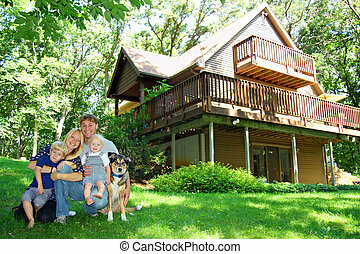 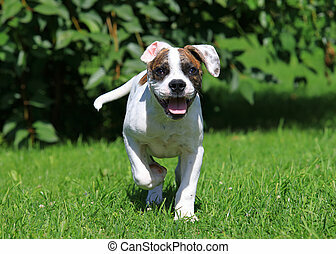 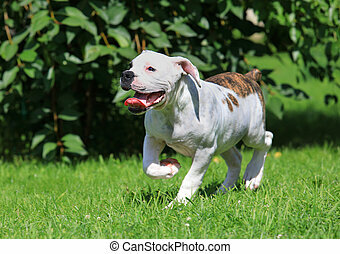 a happy, smiling family of four people; mother, father, baby, and young child, and their dog, are sitting in the grass in front of a nice cabin in the woods on a summer day. 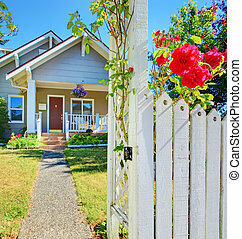 Small American house and white fece with red roses. 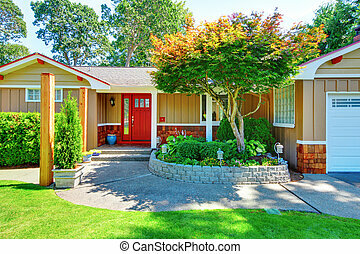 Cute small rambler house with red door and white trim. 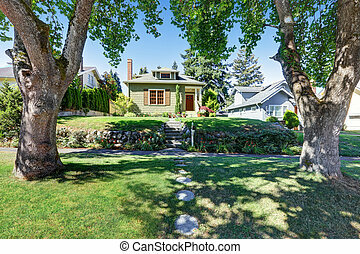 View of concrete walkway with grass and flower bed. 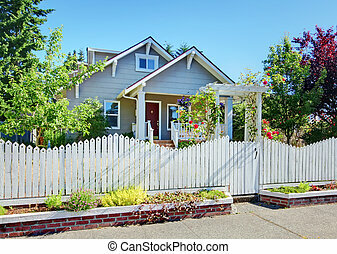 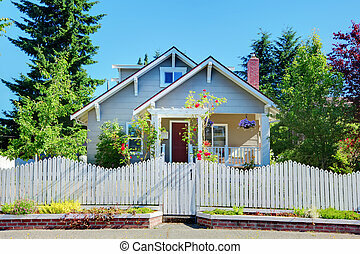 Grey small cute house with white fence and roses. 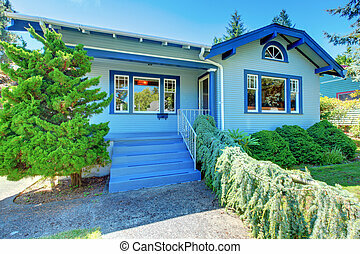 Cute small blue house with lavander. 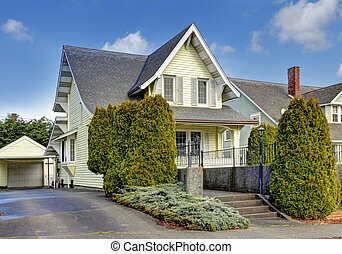 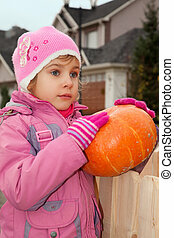 Craftsman style yelow cute American house exterior.